This handsome, brown-brick, 15-story, pre-war apartment building is a cooperative and has 60 apartments. 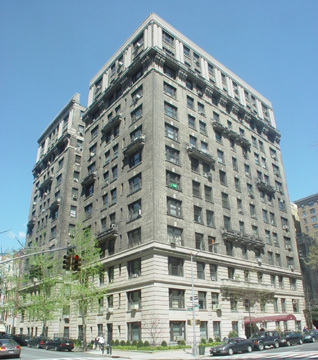 The building has a three-story, rusticated limestone base, some decorative balconies, sidewalk landscaping, a canopied entrance, a doorman, and it permits protruding air-conditioners. It has no roof deck, no health club and no garage. 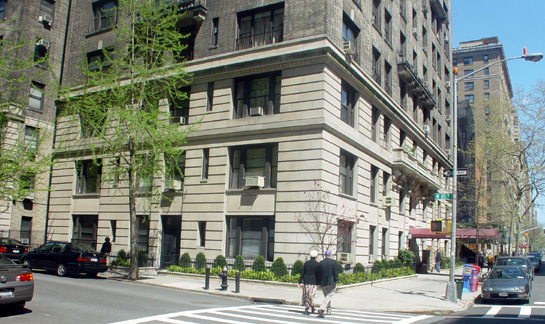 It is one block from Riverside Park and one block from excellent cross-town bus service on 86th Street. There is a subway station at 86th Street and Broadway and many restaurants and stores nearby.